that slotted perfectly into to my A/W plan! 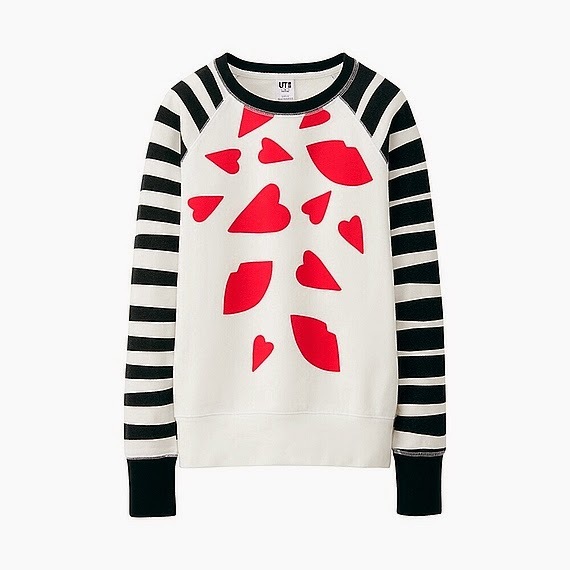 Thanks to a Uniqlo email notification in my mailbox last Tuesday this fab little Lulu Guinness sweatshirt has found it's way to me! 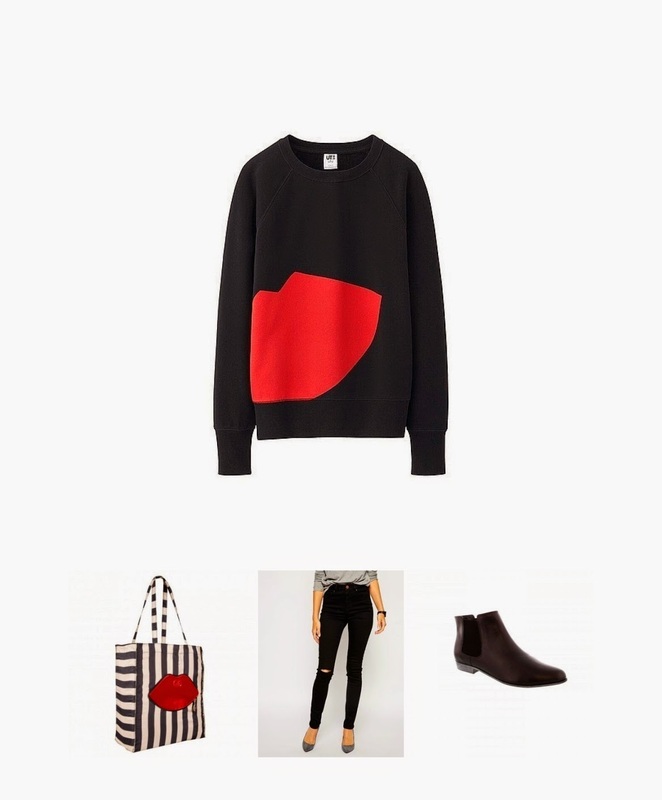 It's a fab statement sweatshirt that works brilliantly with everything on my wishlist. The Lulu Guiness collaboration with Uniqlo went on sale on last week. It's not like me to be so rash, I normally dither but I purchased immediately. Just as well I did snap it up straight away as it was sold out the next day! 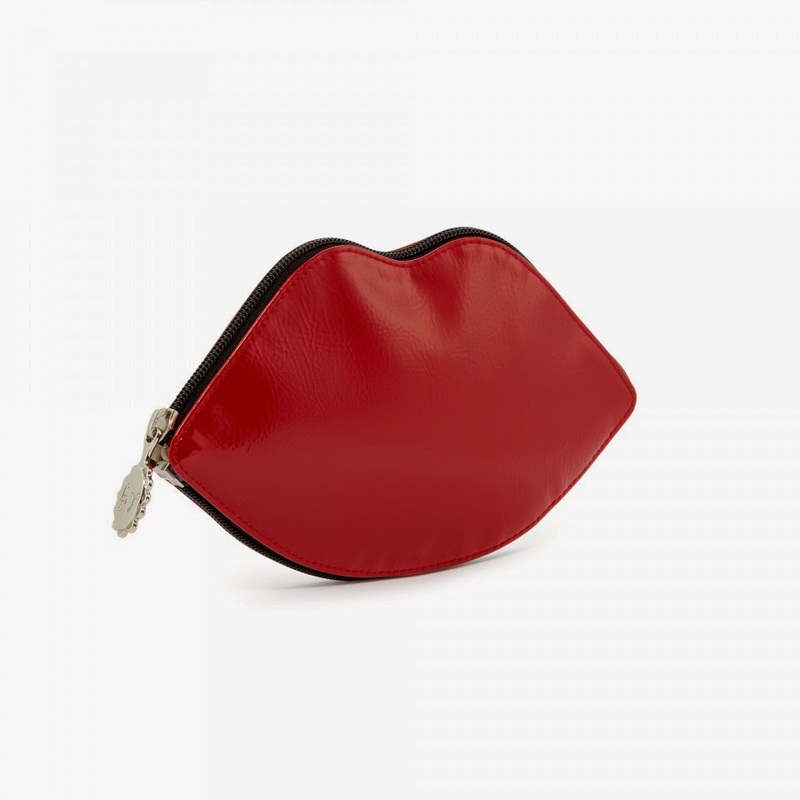 There are a few more Lulu Guinness styles, see here. The only other one that really caught my eye was this black, white and red top.....bit of a theme going on here! The sweatshirts are £19.90 and there are a selection of t-shirts at £12.90. One thing I will say about Uniqlo is that I found their delivery to be super speedy.....I ordered on Tuesday and it was with me on Thursday! That's what I call excellent customer service! Here's a little ensemble of things from my Autumn/Winter plan, to make up a great outfit! You may have noticed from the collage above that I've since become a little obsessed by Lulu Guinness and added another cheeky little addition to the Autumn/Winter stash! I have also purchased this foldaway shopper bag. I managed to score mine on eBay but you can also buy them from House of Fraser. It folds into this which will go neatly in your handbag. Perfect for those spontaneous acquisitions! 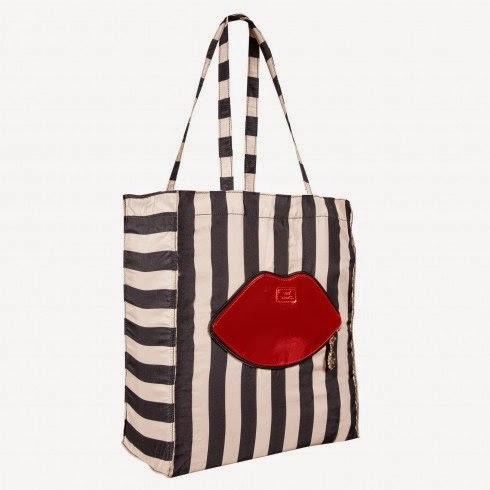 Anyone else have a thing for Lulu Guinness? I love the red lips! A roundup of what I've been sporting over the past few days! Really enjoying this late Summer sun, it's a chance to get a bit more mileage out of some of my favourite Summer outfits. The weather seems to be getting a bit chillier now so it won't be long before we are breaking the Autumn/Winter clothes out!! Love the sweatshirt Michelle....lots of styling opportunities there and it looks a little different to the ordinary ones I've seen! I could use one of those foldaway bags also, great idea:) Have a good week. Thank you Anne....the red lips are a way of introducing a much needed bit of colour to my wardrobe!! I love the sweatshirt, brilliant price too! Thank you! I was quite surprised by the price.....you would expect them to hoick it up a bit seeing a Lulu Guinness has put her name to it wouldn't you?! Trust you to find such a covetable item. Impressed by your quick fire purchase as well. Sometimes you just know it's got to be done. Fab sweatshirt Michelle, I can't wait to see it on you. The sweatshirt is fabulous - I love lulu! I've never bought from Uniqlo before - what is the sizing like? Hi Emma, thank you for the lovely comment....I am loving my bit of Lulu! I have the fold away shopper - it's so cute! LOVE the sweater and can't wait to see it on you! Loving the red, black and white accents Michelle. I might be following suit on the colour front with a similar coloured bag. But it's good to know I'm on the right wavelength if you're also clocking the same colours. It's fabulous, absolutely love it! It will go so well with lots of things in your wardrobe! Love the bag too, really great purchases! The girl did good, very envious of your sweatshirt. You seem to be sticking to the plan. Michelle I've been following your blog for a while but never commented before...you have great style and always look fab. 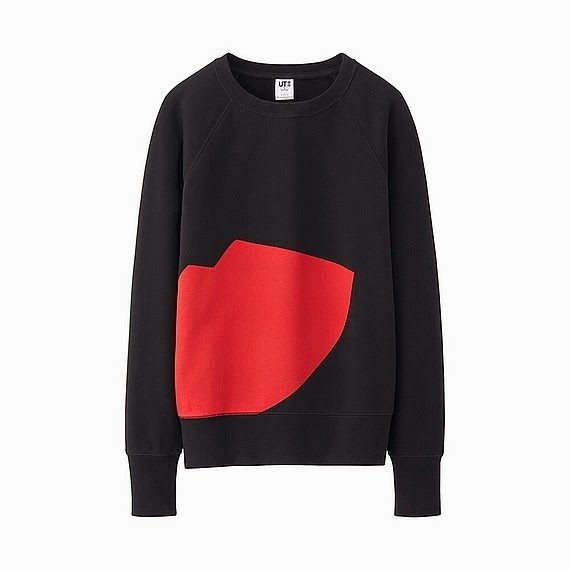 Re the Lulu Guiness sweatshirt - does it come up large or small - or true to size? Thanks so much..I have ordered both M and L - am usually a Medium at most stores but when I lived in Hong Kong Uniqlo was always a tad on the small size! Hope it looks fab anyway - looking forward to seeing how you style it! Received both - and am keeping the medium after all! The large was too shapeless around the midriff - and the medium is still roomy enough for a shirt underneath. Beyond thrilled - thank you for the heads up!